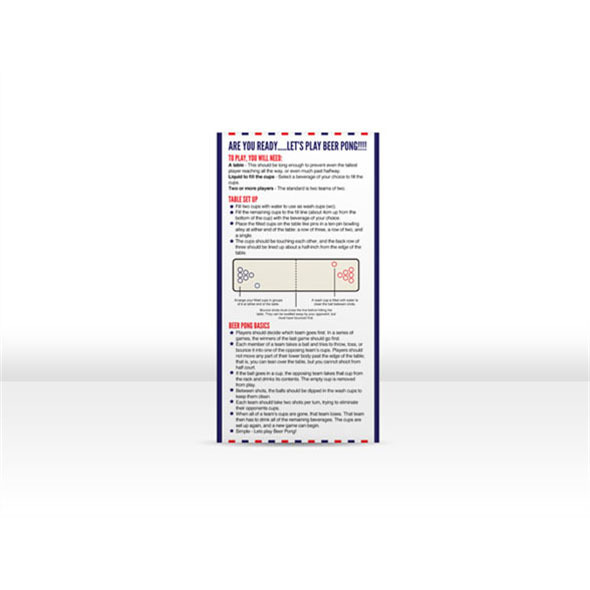 If you're a beer pong connoisseur then you'll take your beer pong equipment very seriously. 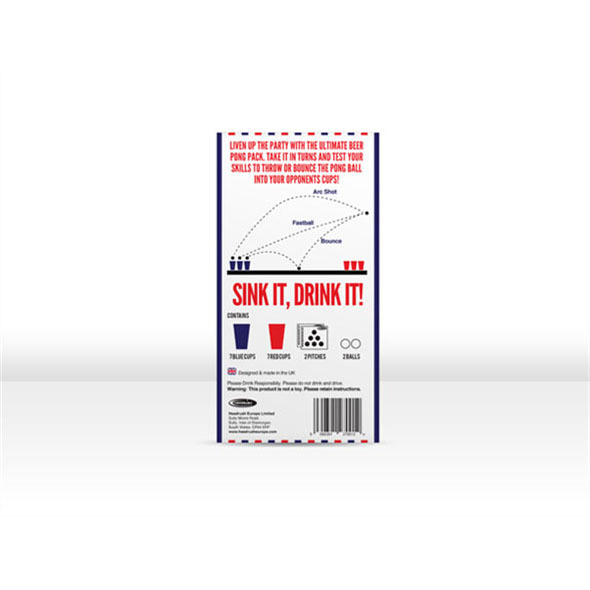 That's why we strive to deliver the best beer pong accessories around, and that's why we came up with this fantastic Original Beer Pong Kit. To play a proper game of beer pong you're going to need some serious beer pong equipment. Many consider beer pong to be a sport, not just a game - which is why we've put our heads together at Gadget Inspector to create our Original Beer Pong Kit for you to enjoy. This simple and stylish box contains everything you will need for one seriously amazing game of beer pong. 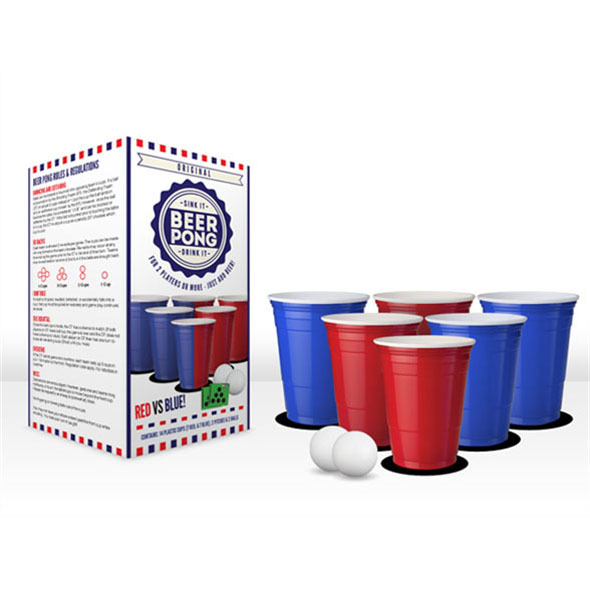 We've included a set of red cups and a set of blue cups - so you'll be able to form your teams and stick to one colour without any confusion - and of course, the essential element of beer pong, the ping-pong balls! We've even included two green place mats for you to pop your cups on in the correct formation. We've thought of everything!